Branson has many talented magicians that perform unbelievable astounding tricks that can put you at the edge of your seat. Some of the magic shows in Branson use live animals, costumes, and world-class showmanship to create an unmatched production that the whole family will love. In Branson, visitors don’t just enjoy live music shows but also astonishing magic with splendid tricks and illusions. These unbelievable magic shows in Branson include Rick Thomas Illusionist & Magic Show, Magic & Comedy of Taylor Reed Show, Hamners' Unbelievable Variety Show, Reza Edge of Illusion Magic Show, and Ultra Magician Steve Wyrick. Rick Thomas Illusionist & Magic Show in Branson is filled with stunning illusions and spectacular magic performances. Having successfully completed five world tours covering over 50 countries, Rick has brought again his mind-bending illusions and magic to Branson. As the only sought after illusionist and magician to perform live on stage in Branson, Rick Thomas have also appeared for television broadcasts on many major networks and popular cable stations, which include channels like History, Hallmark, Discover, and Animal Planet as well as ABC, CBS, and NBC where he appeared on The World’s Great Magic. Rick Thomas was awarded Magician of the Year and has been honored by the Academy of Magic Arts as the Stage Magician of the Year. He was also named ‘Magician of the Year’ by the Academy of Magic Arts. He was also headlined at some of the largest concert halls including a 15-year stint at some of the country’s most popular tourist spots. Some of the few places where he brought his magic show include some of the world’s most popular resorts such as The Mirage, Mandalay Bay, The Bellagio, Planet Hollywood, The Tropicana, Bally’s and many more. Rick has also appeared both nationally and internationally on numerous television specials including the famous “The World’s Greatest Magic Show” and he has also performed his magic act to over 300 cruise ships. Rick will take you on a journey into a world with a seamless mix of dance, music, astonishing illusions and stunning magic tricks. With two hours of fascinating magic performances, this family-friendly magic show in Branson features the extraordinary talents of illusionist Rick Thomas with the help of some animals such as tigers, birds, and even participants from the audience. As one of the most persevering entertainers in the world of magic that you may come across, Rick Thomas will perform a magic show in Branson with the most innovative grand illusions in the world with a style like no other. The Magic & Comedy of Taylor Reed Show at the beautiful Doug Gabriel Theatre is a great magic show in Branson that provides amazing magic and comedy that you and your entire family can enjoy. If you love magic and comedy, this is the perfect show not to be missed. Aside from the amazing illusions and entertaining comedy, you will also enjoy story telling and other performances with colorful costumes. Taylor Reed has traveled all throughout the United States for 15 years performing magic. During the height of his career in magic, Taylor has also been awarded several accolades and some of these come from the Las Vegas Review Journal and Branson Missouri Daily Independent. He has also performed aside with the stars that include Jim Ed Brown, Roy Head, Chubby Checker, Billy “Crash” Craddock, and more. A few of his famous viewers also include Mike Tyzon, Carrot Top, and Tony Danza. Taylor is now in Branson to perform spectacular show from astonishing magic to fire eating and more. 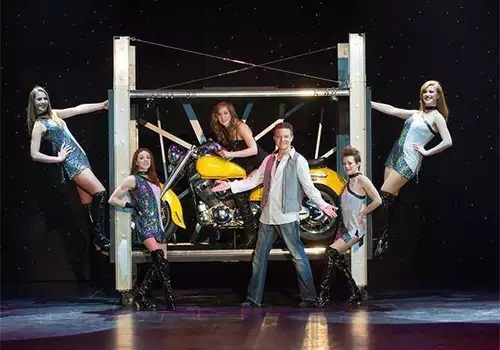 Hamner’s Unbelievable Variety Show in Branson is sure to entertain audiences as the talented cast will impress them with magic tricks in this approximately 2-show magic show which is appropriate for people of all ages. Available between March 3, 201 and Dec. 31, 2017, Hamners’ Unbelievable Variety Show allows you to experience mind-bending illusions, astonishing aerial acrobatics and much more. As the show starts, it will reveal an incredibly talented cast of veteran performers including vocalists Tamra Tinoco and Jeff Brandt, Russian acrobatics Vadim and Mariya Serykh and of course, Dave and Denise Hamner. Hamner’s Unbelievable Variety Show have dazzled audiences in many locations across the country including Las Vegas, Disneyland and Magic Castle in Hollywood. This variety show is co-owned and co-produced by husband and wife team, Dave and Denise Hamner. Hamner’s Unbelievable Variety Show has been featured on NBC’s World’s Greatest Magic and on the Trinity Broadcasting Network. The show has been a part in the Branson productions “Branson City All Star Revue” and “Magic of the Night”. If you love magic, comedy, music, dancing, and ventriloquism, this show should be on top of your must-see list. 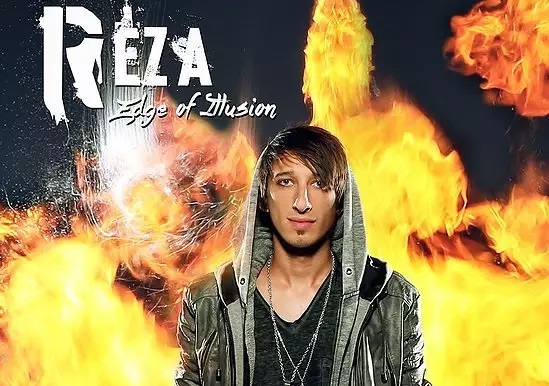 Reza Edge of Illusion Magic Show is another entertaining magic show in Branson that will blow your mind. The magic show is filled with magical illusions, tricks, and plenty of fantastic feats that will bring you to the edge of your seat. Once a member of the Revolutionists, Reza will take you to a new experience and new life into the world of magic. In this magic show, you will see the famous ‘Oreo trick’ in which Reza transforms a regular Oreo into a super-stuffed cookie. Among his famous magic tricks are countless other illusions that are sure to dumbfound you. Be sure not to miss this fabulous magic performance of Reza the next time you visit Branson. This will be one of the performances you’ll be talking about for years to come. Ultra Magician Steve Wyrick will perform an astonishing magic show in Branson where his daring magic tricks make vehicles disappear. Taking you to the stage full of amazing illusions and amazing magic tricks, Steve Wyrick is sure to impress people of all ages with his daring tricks, making things disappear in front of your very eyes, and more, you will be on the edge of your seat the entire show. After Steve Wyrick made a name for himself in the world of magic and has gone on to accept plenty of awards. Steve has crafted his art in magic at the age of six, so he brings a sense of masterful experience to his shows and really knows how to impress the audience. His great showmanship and pleasant demeanor as well as his amazing magic tricks give audiences a very entertaining magic show. You will surely be dumbfounded as he achieves amazing things right before your eyes. Wyrick has the ability to let vehicles appear and disappear. You might be in shock as he saws his assistant in half or walks through the propellers of a jet plane. No matter what he does, Wyrick always seems to amaze the audience. Wyrick has also appeared on television shows such as Late Night with David Letterman, The Ellen DeGeneres Show, The History Channel, and American Chopper. He has also performed his own magic show in Las Vegas, at the Hilton as well as Planet Hollywood Resort & Casino. He also received awards and accolades including Merlin Award and International Magicians Society’s Magician of the Year. When you see Steve Wyrick performs astonishing magic show in Branson, you will be absolutely mesmerized by his performance. So, if you love magic, don’t miss to watch many unbelievable magic shows in Branson that can drop your jaw on the floor.